There’s simply no telling what any single player will glean from “Journey’s” three-hour adventure. Personally, both times I played it (once on PS3 and now on PS4), I was floored by the sheer beauty of the visuals and left pondering the game’s meaning long after the credits rolled. Developer ThatGameCompany takes great strides to ensure an untainted gaming experience. You begin the eponymous journey as a cloth-like humanoid figure in the heart of a sun-sprinkled desert. Only a few buttons dictate your moves and your actions and not a word is spoken throughout. You trudge forward through fairly simple puzzles toward a bright light atop a mysterious mountain. Along the way, you’ll meet allies from “Journey’s” world and our own. 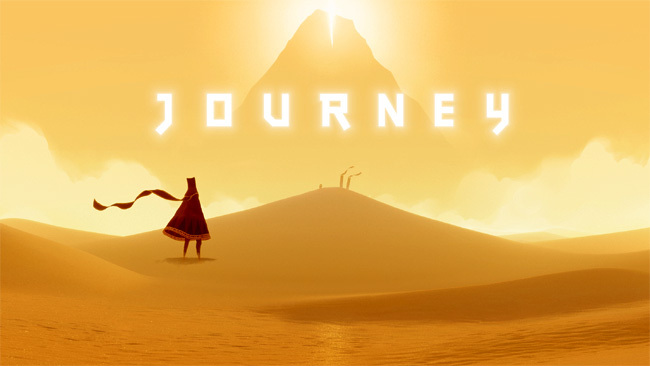 “Journey” was released on July 21, 2015 on PlayStation 4 and PlayStation 3. If another player is progressing his or her own journey and you cross paths, you can communicate via chirps and chimes emitted from your characters by pressing the circle button. Never is the person’s username revealed until the game is over and nothing keeps companions beside you. They can, at any moment, leave you behind or hang back and let you move forward alone. The only loose tie holding you together is the joint experience of accomplishing a goal in tandem. To reach the end of “Journey” is to experience satisfaction at its finest. The game itself is not difficult, but the story of the clothy figure is riddled with tribulations. The meta narrative, which I daren’t spoil here, hints at past hardship. Finishing “Journey” a second time after a three-year hiatus only made me love it more. To me, “Journey” is about pushing through every challenge, every beautiful deception and every enemy’s blatant attempt to crush your spirit until you finally accomplish what you set out to do. To you, it may mean something completely different; and that’s where the beauty in “Journey” really lies. “Journey,” which is published by SCEA and developed by ThatGameCompany, was reviewed on PlayStation 4 and is also available on PlayStation 3. The game was released on July 21, 2015 and is rated “E” for everyone. Submitted by Jack Pepper (not verified) on February 3, 2017 - 6:40am.